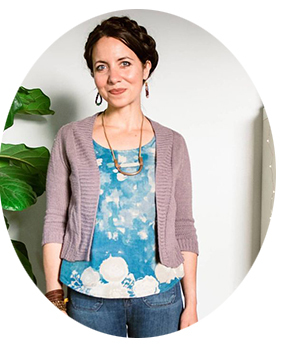 Those who know me well will find it comical that I'm writing this post. I'm not really a game person. Growing up, we rarely played board games, but we did get out Scrabble on occasion, and I've always enjoyed that. I think I would like playing a board game with adults, but I always end up watching the kids when the board games happen when extended family comes to visit because, as we all know, if Mama sits down to relax, there's some sort of siren that goes off that demands her immediate attention. A spill, a book to be read in her lap, a diaper to change, a snack to be made and consumed, an art project to do, etc. etc. But lately, I HAVE been able to play some board games. 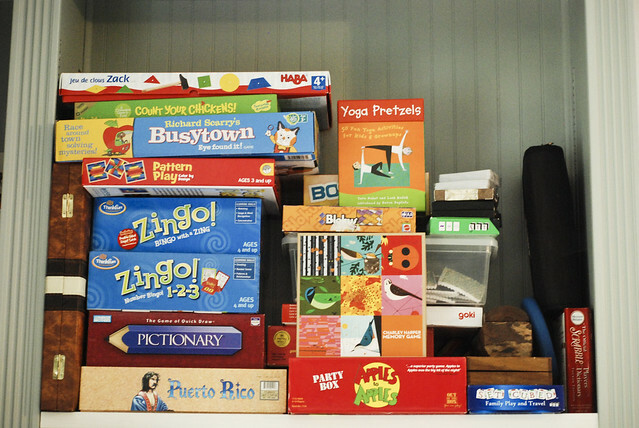 Board games for three year-olds. And I'm liking it. 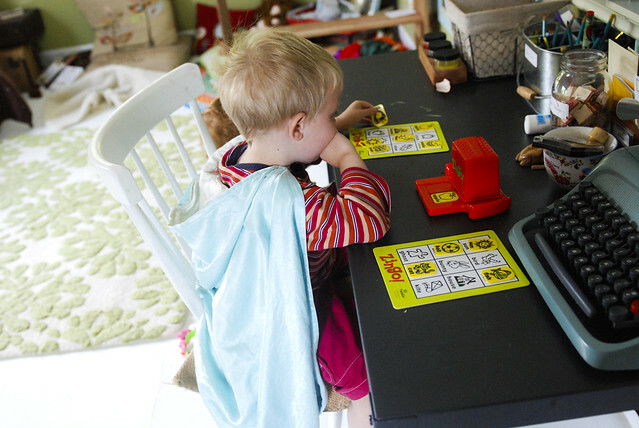 The first is Zingo - a snazzy bingo game for pre-readers that has a very fun-to-operate tile dispenser. We first played Zingo with our friends on our trip to the mountains this past winter, and I'm glad we decided to add it to our (very small) collection. Peaceable Kingdom makes really great cooperative games. 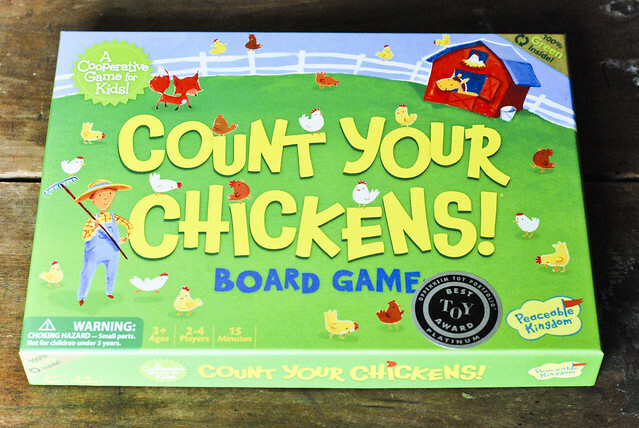 This one, Count Your Chickens , is gratifyingly quick to play and fun for counting practice. Finn wants me to tell you that he likes the spinner. 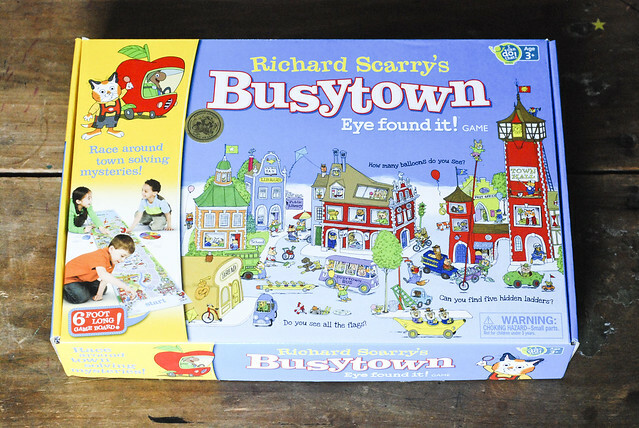 Another game we like is Busytown , which has a big playing board that needs to go on the floor. This means that Busytown play is, for the current family stage we're in, relegated to Lachlan's naptime. The part of this cooperative game that really holds Finn's interest is the search for objects in the illustrations. You find as many objects as you can in the allotted period of time, then you count up how many you found. I'll be honest - this game isn't boring for parents, because the searches are a good challenge, even for us! 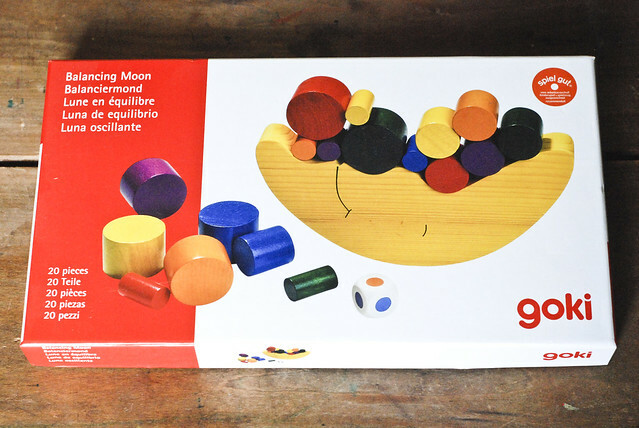 When I was teaching in Mexico, we had the most lovely, handmade Balancing Moon game. It was a favorite among my students, so when I found a similar one at a local store, I snapped it up. I don't think it's easy to find - this is a slightly different version on ebay. 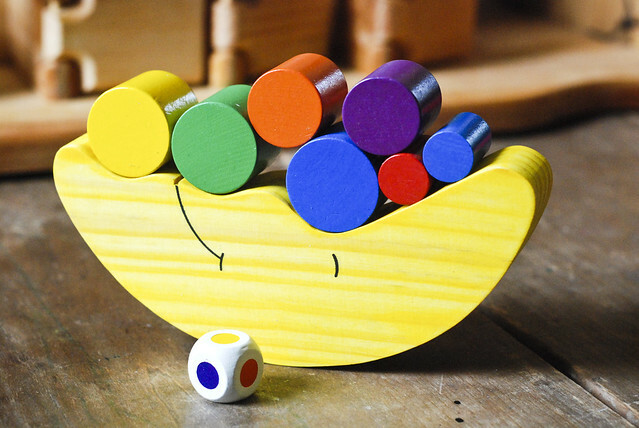 It's a simple game - a good introduction to the concepts of balance, weight, and gravity. A fun after-dinner family activity. Here's a homemade favorite. 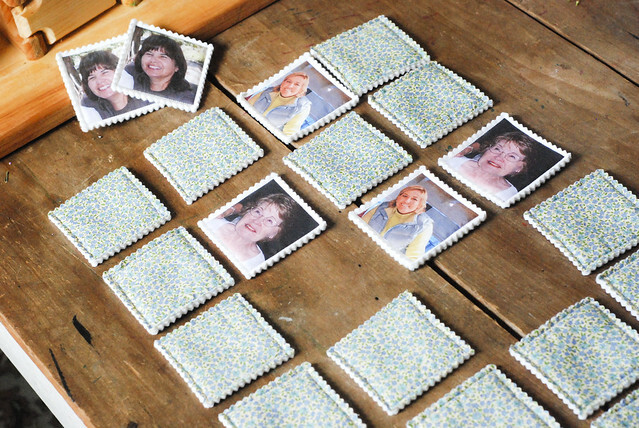 This is our family memory game, which I blogged about here. 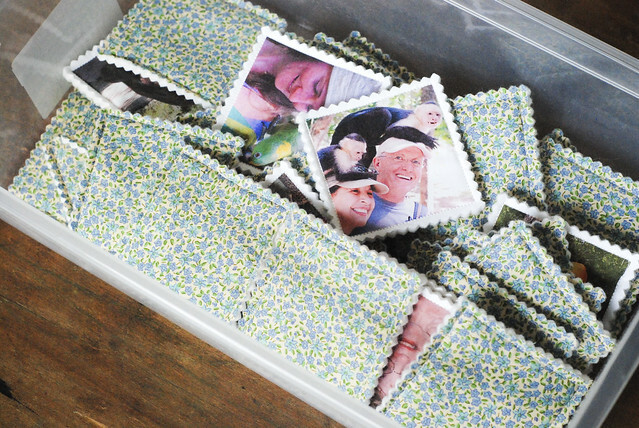 You can find the instructions for making your own out of fabric in Alicia's wonderful book , or you could make a simple version from printed pictures backed with a pretty scrapbooking paper. What are your favorite games for little ones?